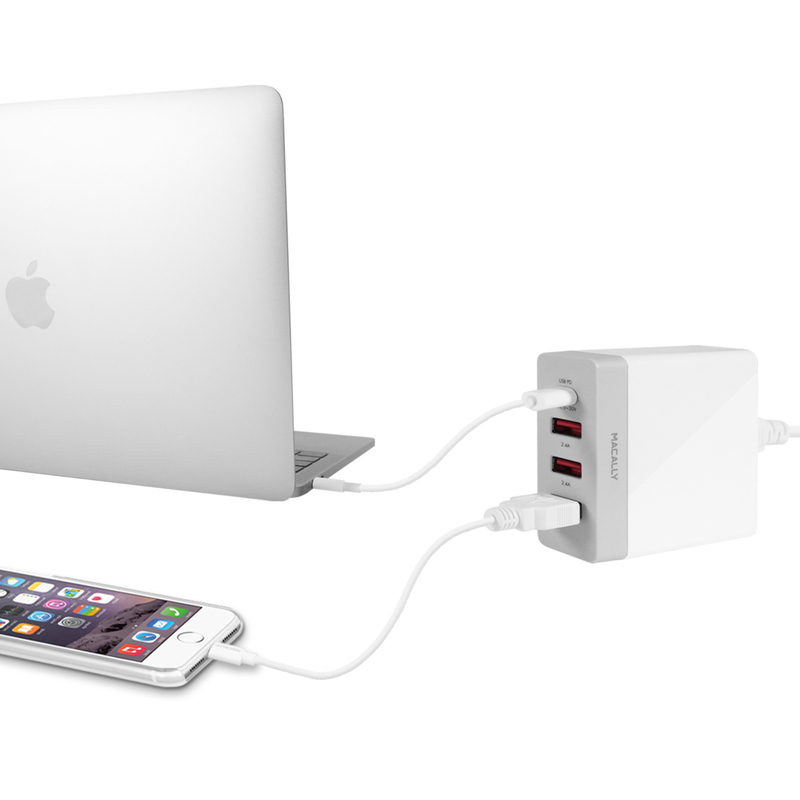 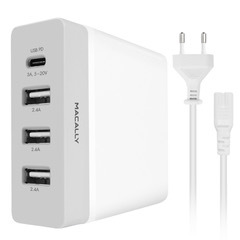 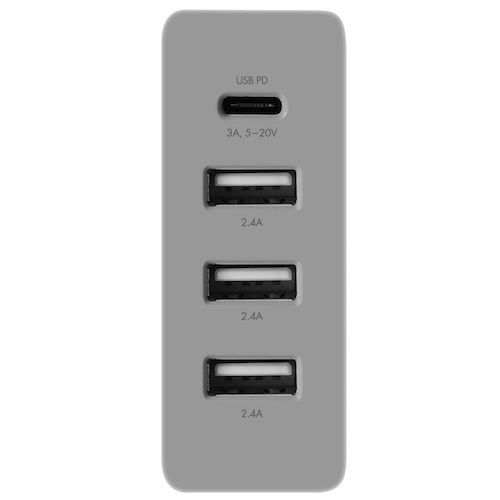 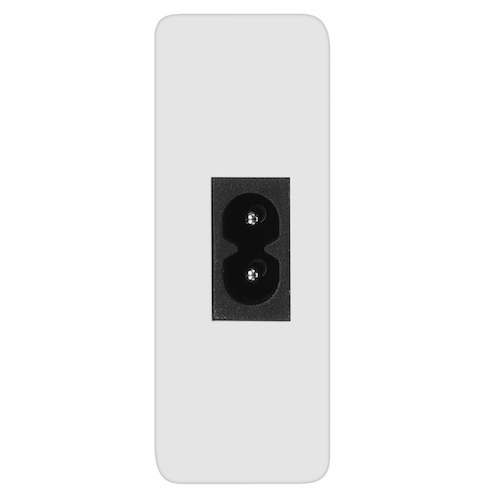 The Macally HOME72UC, 72W 4 port USB-C/USB-A wall charger (Type C plug: 2 pin Europlug, mainly used in Europe, parts of Africa, Asia and South America), is specially designed to quickly and simultaneously charge your USB-C powered computer/tablet/smartphone, as well as any regular USB-A tablets/smartphones, at home, at the office or at any place with an available AC power socket. 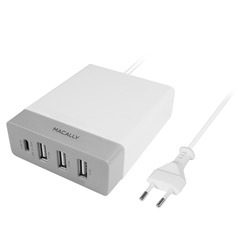 The Macally HOME72UC has a fully compliant Power Delivery USB-C port to provide a wide range of power outputs from 5V, 9V, 15V (30-45W, MacBook) to 20V (60W, Chromebook Pixel). 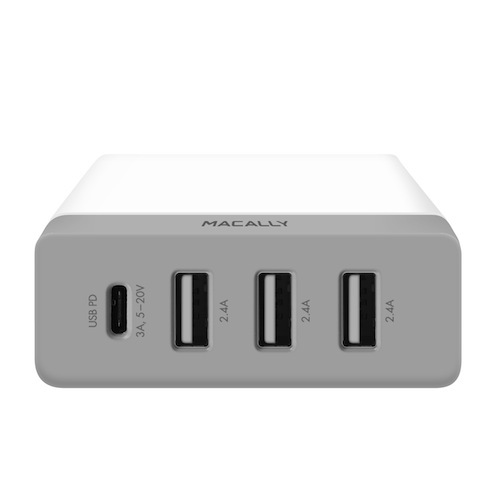 It also has three USB-A ports with Smart IC to recognize iOS or Android USB-A devices and offer the most efficient and fastest charging for each device. 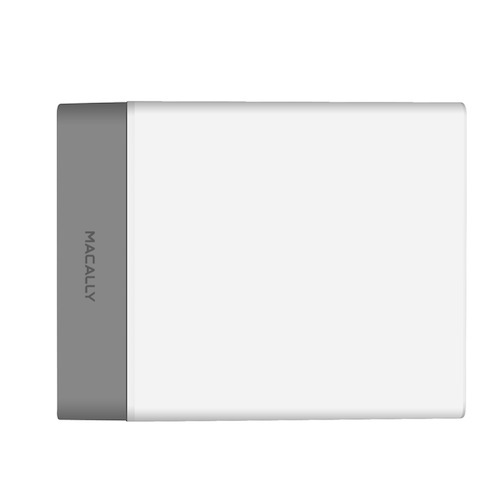 The Macally HOME72UC is compatible with a 100-240V AC input and fully certified (UL, FCC, CE, RoHS and REACH) for maximum safety and protection of your devices. 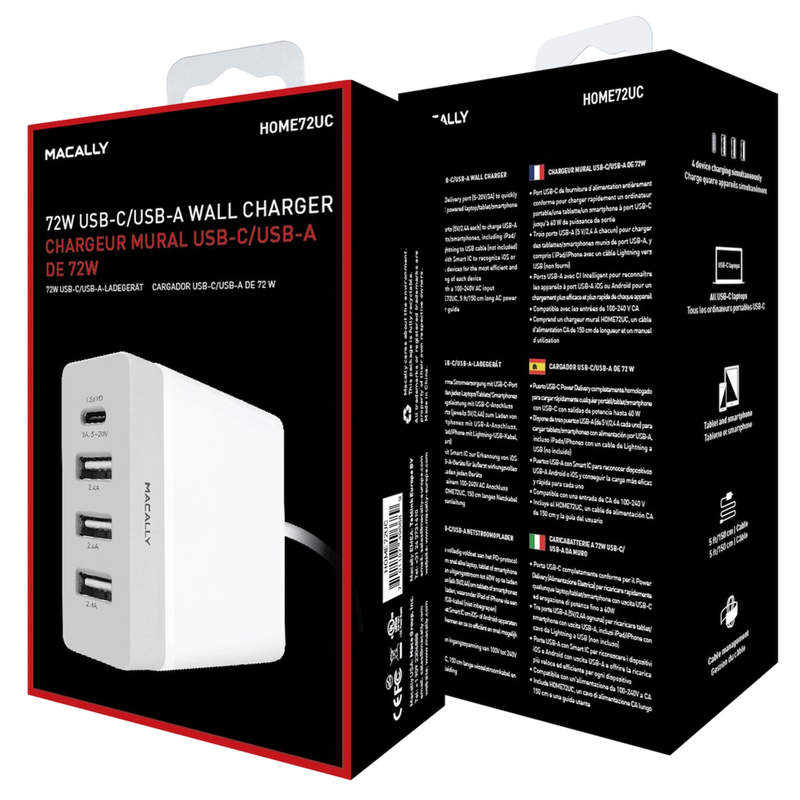 The Macally HOME72UC supports (as per July 2016) the following USB-C powered devices: Apple MacBook, Google Chromebook Pixel, Samsung Tab Pro S, Razer Blade Stealth, Google Nexus 5X and 6P, Microsoft Lumia 950 and 950 XL, LG G5, Huawei P9, HTC 10, etc. 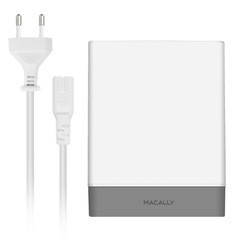 The Macally HOME72UC also supports regular USB-A powered mobile devices, including iPhone/iPad with Lightning to USB cable (not included).